In this video you’ll learn all about eighth note based meters also the difference between 6/8 and 3/4. The examples are based in 6/8, 5/8 and 7/8. The other videos in this series go into theory, quarter note based, sixteenth based and composite meters. I love those double paradiddle based 6/8 grooves, sort of like what you were messing with at 2:00, there are so many different ways to play them! I personally really enjoy screwing around with accenting every 4th note, so much fun, haha. This is a really useful video. I love those double paradiddle based 6/8 grooves, sort of like what you were messing with at 2:00, there are so many different ways to play them! I personally really enjoy﻿ screwing around with accenting every 4th note, so much fun, haha. This is a really useful video. I love those double paradiddle based 6/8 grooves, sort of like what you were messing with at 2:00, there are so many different ways to play them! I personally really enjoy screwing around with accenting every 4th note, so much fun, haha. This﻿ is a really useful video. I love those double paradiddle based 6/8 grooves, sort of like what you﻿ were messing with at 2:00, there are so many different ways to play them! I personally really enjoy screwing around with accenting every 4th note, so much fun, haha. This is a really useful video. I love those double paradiddle based 6/8 grooves, sort of like what you were messing with at 2:00, there are so many different﻿ ways to play them! I personally really enjoy screwing around with accenting every 4th note, so much fun, haha. This is a really useful video. I love﻿ those double paradiddle based 6/8 grooves, sort of like what you were messing with at 2:00, there are so many different ways to play them! I personally really enjoy screwing around with accenting every 4th note, so much fun, haha. This is a really useful video. I love those double paradiddle based 6/8 grooves, sort of like what you were messing with at 2:00, there are so many different ways to play them! I﻿ personally really enjoy screwing around with accenting every 4th note, so much fun, haha. This is a really useful video. I love those double paradiddle based 6/8 grooves, sort of like what you were messing with at 2:00, there are so many different ways to play them! I personally really enjoy screwing around with accenting﻿ every 4th note, so much fun, haha. This is a really useful video. I love those double paradiddle based 6/8 grooves,﻿ sort of like what you were messing with at 2:00, there are so many different ways to play them! I personally really enjoy screwing around with accenting every 4th note, so much fun, haha. This is a really useful video. I love those double paradiddle based 6/8﻿ grooves, sort of like what you were messing with at 2:00, there are so many different ways to play them! I personally really enjoy screwing around with accenting every 4th note, so much fun, haha. This is a really useful video. I﻿ love those double paradiddle based 6/8 grooves, sort of like what you were messing with at 2:00, there are so many different ways to play them! I personally really enjoy screwing around with accenting every 4th note, so much fun, haha. This is a really useful video. I love those double paradiddle based 6/8 grooves, sort of like what you were messing with﻿ at 2:00, there are so many different ways to play them! I personally really enjoy screwing around with accenting every 4th note, so much fun, haha. This is a really useful video. I love those double paradiddle based 6/8 grooves, sort of like what you were messing with at 2:00, there are﻿ so many different ways to play them! I personally really enjoy screwing around with accenting every 4th note, so much fun, haha. This is a really useful video. I love those double paradiddle based 6/8 grooves, sort of like what you were messing with at 2:00, there are so many different ways to play﻿ them! I personally really enjoy screwing around with accenting every 4th note, so much fun, haha. This is a really useful video. I love those double paradiddle based 6/8 grooves, sort of like what you were messing with at 2:00, there are so many different ways to play them! I personally﻿ really enjoy screwing around with accenting every 4th note, so much fun, haha. This is a really useful video. I love those double paradiddle based 6/8 grooves, sort of like what you were messing﻿ with at 2:00, there are so many different ways to play them! I personally really enjoy screwing around with accenting every 4th note, so much fun, haha. This is a really useful video. I love those double paradiddle based 6/8 grooves, sort of like what you were messing with at 2:00, there are so many different ways to play them! I personally really﻿ enjoy screwing around with accenting every 4th note, so much fun, haha. This is a really useful video. I love those double paradiddle based 6/8 grooves, sort of like what you were﻿ messing with at 2:00, there are so many different ways to play them! I personally really enjoy screwing around with accenting every 4th note, so much fun, haha. This is a really useful video. I love those double paradiddle based 6/8 grooves, sort of like what you were messing with at﻿ 2:00, there are so many different ways to play them! I personally really enjoy screwing around with accenting every 4th note, so much fun, haha. This is a really useful video. I love those double paradiddle based 6/8 grooves, sort of like what﻿ you were messing with at 2:00, there are so many different ways to play them! I personally really enjoy screwing around with accenting every 4th note, so much fun, haha. This is a really useful video. I love those double﻿ paradiddle based 6/8 grooves, sort of like what you were messing with at 2:00, there are so many different ways to play them! I personally really enjoy screwing around with accenting every 4th note, so much fun, haha. This is a really useful video. I love those double paradiddle based 6/8 grooves, sort of like what you were messing with at 2:00, there﻿ are so many different ways to play them! I personally really enjoy screwing around with accenting every 4th note, so much fun, haha. This is a really useful video. I love those double paradiddle based 6/8 grooves, sort of﻿ like what you were messing with at 2:00, there are so many different ways to play them! I personally really enjoy screwing around with accenting every 4th note, so much fun, haha. This is a really useful video. I love those double paradiddle based 6/8 grooves, sort of like what you were messing with at 2:00, there are so many different ways to play them! I personally really enjoy screwing around with accenting every 4th note, so﻿ much fun, haha. This is a really useful video. I love those double paradiddle based 6/8 grooves, sort of like what you were messing with at 2:00, there are so many different ways to play them! I personally really enjoy screwing around with accenting every 4th note, so much﻿ fun, haha. This is a really useful video. I love those double paradiddle based 6/8 grooves, sort of like what you were messing with at 2:00, there are so many different ways to play them! I personally really enjoy screwing around with accenting every 4th note, so much fun, haha. This is a﻿ really useful video. I love those double paradiddle based 6/8 grooves, sort of like what you were messing with at 2:00,﻿ there are so many different ways to play them! I personally really enjoy screwing around with accenting every 4th note, so much fun, haha. This is a really useful video. I love those double paradiddle based 6/8 grooves, sort of like what you were messing with at 2:00, there are so many different ways to play them! I personally really enjoy screwing around with accenting every 4th note, so much fun, haha. This is a really useful﻿ video. I love those double paradiddle based 6/8 grooves, sort of like what you were messing with at 2:00, there are so many different ways to play them! I personally really enjoy screwing around with accenting every 4th note, so much fun,﻿ haha. This is a really useful video. I love those double paradiddle based 6/8 grooves, sort of like what you were messing with at 2:00, there are so many different ways to play them!﻿ I personally really enjoy screwing around with accenting every 4th note, so much fun, haha. This is a really useful video. I love those double paradiddle based 6/8 grooves, sort of like what you were messing with at 2:00, there are so many different ways to play them! I personally really enjoy screwing around with accenting every 4th note, so much fun, haha. This is a really﻿ useful video. I love those double paradiddle based 6/8 grooves, sort of like what you were messing with at 2:00, there are so many different ways to play them! I personally really enjoy screwing around with accenting every﻿ 4th note, so much fun, haha. This is a really useful video. I love those double paradiddle based 6/8 grooves, sort of like what you were messing with at 2:00, there are so many different ways to﻿ play them! I personally really enjoy screwing around with accenting every 4th note, so much fun, haha. This is a really useful video. I love those double paradiddle based 6/8 grooves, sort of like what you were messing with at 2:00, there are so many different ways to play them! I personally really enjoy screwing around with accenting every 4th﻿ note, so much fun, haha. This is a really useful video. I love those double paradiddle based 6/8 grooves, sort of like what you were messing with at 2:00, there are so many different ways to play them! I personally really enjoy screwing around with accenting every 4th note, so much fun, haha. This is﻿ a really useful video. I love those double paradiddle based 6/8 grooves, sort of like what you were messing with at 2:00, there are so many different ways﻿ to play them! I personally really enjoy screwing around with accenting every 4th note, so much fun, haha. This is a really useful video. [..YouTube..] I love those double paradiddle based 6/8 grooves, sort of like what you were messing with at 2:00, there are so many different ways to play them! I personally really enjoy screwing around with accenting every 4th note, so much fun, haha. This is a really useful video. @LukeSnyderMusic Awesome! yeah man that stuff is super fun 😀 I’m glad you can use this stuff!! @LukeSnyderMusic Awesome! yeah man that stuff is super fun 😀 I’m glad you can﻿ use this stuff!! @LukeSnyderMusic Awesome! yeah man that stuff is﻿ super fun 😀 I’m glad you can use this stuff!! @LukeSnyderMusic Awesome! yeah man that stuff﻿ is super fun 😀 I’m glad you can use this stuff!! @LukeSnyderMusic Awesome! yeah man﻿ that stuff is super fun 😀 I’m glad you can use this stuff!! @LukeSnyderMusic Awesome! yeah man that stuff is super fun 😀 I’m glad﻿ you can use this stuff!! @LukeSnyderMusic Awesome! yeah man that stuff is super fun 😀 I’m glad you can use this﻿ stuff!! @LukeSnyderMusic Awesome! yeah man that stuff is super fun 😀 I’m glad you can use﻿ this stuff!! @LukeSnyderMusic Awesome! yeah man that stuff is super fun 😀 I’m glad you﻿ can use this stuff!! @LukeSnyderMusic Awesome! yeah man that﻿ stuff is super fun 😀 I’m glad you can use this stuff!! @LukeSnyderMusic Awesome! yeah man that stuff is super fun﻿ 😀 I’m glad you can use this stuff!! @LukeSnyderMusic Awesome! yeah man that stuff is super fun :D﻿ I’m glad you can use this stuff!! @LukeSnyderMusic Awesome! yeah man that stuff is super fun 😀 I’m﻿ glad you can use this stuff!! @LukeSnyderMusic Awesome!﻿ yeah man that stuff is super fun 😀 I’m glad you can use this stuff!! @LukeSnyderMusic Awesome! yeah﻿ man that stuff is super fun 😀 I’m glad you can use this stuff!! @LukeSnyderMusic﻿ Awesome! yeah man that stuff is super fun 😀 I’m glad you can use this stuff!! @LukeSnyderMusic Awesome! yeah man that stuff is super﻿ fun 😀 I’m glad you can use this stuff!! [..YouTube..] @LukeSnyderMusic Awesome! yeah man that stuff is super fun 😀 I’m glad you can use this stuff!! [..YouTube..] Awesome! yeah man that stuff is super fun 😀 I’m glad you can use this stuff!! Awesome! yeah man that stuff is super fun 😀 I’m glad you can use this stuff!! @NoSlevenLucky That’s not dumb at all man, that’s an awesome question! Before I answer though I have a couple questions that’ll help where I go with my response. Do you play any other instruments? And what are you wanting to use this kind of information/theory for? @NoSlevenLucky That’s not dumb at all man, that’s an awesome question! Before I answer though I have a couple questions that’ll help where I go with my response. Do you play any other instruments? And what are you wanting to use this kind﻿ of information/theory for? @NoSlevenLucky That’s not dumb at all man, that’s an awesome question! Before﻿ I answer though I have a couple questions that’ll help where I go with my response. Do you play any other instruments? And what are you wanting to use this kind of information/theory for? @NoSlevenLucky That’s not dumb at all man, that’s an awesome question! Before I answer though I have a couple questions that’ll help where I go with my response. Do you play any other instruments? And﻿ what are you wanting to use this kind of information/theory for? @NoSlevenLucky That’s not dumb at all man, that’s an awesome question! Before I answer though I have a couple questions that’ll help where I﻿ go with my response. Do you play any other instruments? And what are you wanting to use this kind of information/theory for? @NoSlevenLucky That’s not dumb at all man, that’s an awesome question! Before I answer though I have a couple questions that’ll help where I go with my response. Do you play any other instruments? And what are you wanting to use this kind of information/theory﻿ for? @NoSlevenLucky That’s not dumb at all man, that’s an awesome question! Before I answer though I have a couple questions that’ll help where I go with my response. Do you play any other instruments? And what﻿ are you wanting to use this kind of information/theory for? @NoSlevenLucky That’s not dumb at all man, that’s an awesome question!﻿ Before I answer though I have a couple questions that’ll help where I go with my response. Do you play any other instruments? And what are you wanting to use this kind of information/theory for? @NoSlevenLucky That’s not dumb at all man, that’s an awesome question! Before I answer though I have﻿ a couple questions that’ll help where I go with my response. Do you play any other instruments? And what are you wanting to use this kind of information/theory for? @NoSlevenLucky That’s not dumb at all man, that’s an awesome question! Before I answer though I have a couple questions that’ll help where I go with my response. Do you﻿ play any other instruments? And what are you wanting to use this kind of information/theory for? @NoSlevenLucky That’s not dumb at all man, that’s an awesome question! Before I answer though I have a couple questions that’ll help where I go with my response.﻿ Do you play any other instruments? And what are you wanting to use this kind of information/theory for? @NoSlevenLucky That’s not dumb at all man, that’s an awesome question! Before I answer though I﻿ have a couple questions that’ll help where I go with my response. Do you play any other instruments? And what are you wanting to use this kind of information/theory for? @NoSlevenLucky That’s not dumb at all man, that’s﻿ an awesome question! Before I answer though I have a couple questions that’ll help where I go with my response. Do you play any other instruments? And what are you wanting to use this kind of information/theory for? @NoSlevenLucky That’s not dumb at all man, that’s an awesome question! Before I answer though I have a couple questions that’ll help where I go with my response. Do you play any﻿ other instruments? And what are you wanting to use this kind of information/theory for? @NoSlevenLucky That’s not dumb at all man, that’s an awesome﻿ question! Before I answer though I have a couple questions that’ll help where I go with my response. Do you play any other instruments? And what are you wanting to use this kind of information/theory for? @NoSlevenLucky That’s not dumb at all man, that’s an awesome question! Before I answer though I have a couple questions that’ll help where I go with my response. Do you play﻿ any other instruments? And what are you wanting to use this kind of information/theory for? @NoSlevenLucky That’s not dumb at all man, that’s an awesome question! Before I answer﻿ though I have a couple questions that’ll help where I go with my response. Do you play any other instruments? And what are you wanting to use this kind of information/theory for? @NoSlevenLucky That’s not dumb at all man, that’s an awesome question! Before I answer though I have a couple questions that’ll help where I go with my response. Do you play any other instruments? And what are you wanting to use this﻿ kind of information/theory for? @NoSlevenLucky That’s not dumb at all man, that’s an awesome question! Before I answer though I have a couple questions that’ll help where I go with my response. Do you play any other instruments? And what are you wanting﻿ to use this kind of information/theory for? @NoSlevenLucky That’s not dumb﻿ at all man, that’s an awesome question! Before I answer though I have a couple questions that’ll help where I go with my response. Do you play any other instruments? And what are you wanting to use this kind of information/theory for? @NoSlevenLucky That’s not dumb at all man, that’s an awesome question! Before I answer though I have a couple questions that’ll help where I go with my response. Do you play any other instruments?﻿ And what are you wanting to use this kind of information/theory for? @NoSlevenLucky That’s not dumb at all man, that’s an awesome question! Before I answer though I have a﻿ couple questions that’ll help where I go with my response. Do you play any other instruments? And what are you wanting to use this kind of information/theory for? @NoSlevenLucky That’s not dumb at all man, that’s an awesome question! Before I answer though I have a couple questions that’ll help where I go with my response. Do you play any other instruments? And what are you﻿ wanting to use this kind of information/theory for? @NoSlevenLucky That’s not dumb at all man, that’s an awesome question! Before I answer though I have a couple questions that’ll help where I go with my response. Do you play any other instruments? And what are﻿ you wanting to use this kind of information/theory for? @NoSlevenLucky That’s not﻿ dumb at all man, that’s an awesome question! Before I answer though I have a couple questions that’ll help where I go with my response. Do you play any other instruments? And what are you wanting to use this kind of information/theory for? @NoSlevenLucky That’s not dumb at all man, that’s an awesome question! Before I answer though I have a couple questions that’ll help where﻿ I go with my response. Do you play any other instruments? And what are you wanting to use this kind of information/theory for? @NoSlevenLucky That’s﻿ not dumb at all man, that’s an awesome question! Before I answer though I have a couple questions that’ll help where I go with my response. Do you play any other instruments? And what are you wanting to use this kind of information/theory for? @NoSlevenLucky That’s not dumb at all man,﻿ that’s an awesome question! Before I answer though I have a couple questions that’ll help where I go with my response. Do you play any other instruments? And what are you wanting to use this kind of information/theory for? @NoSlevenLucky That’s not dumb at all man, that’s an awesome question! Before I answer though﻿ I have a couple questions that’ll help where I go with my response. Do you play any other instruments? And what are you wanting to use this kind of information/theory for? @NoSlevenLucky That’s not dumb at all man, that’s an awesome question! Before I answer though I have a couple﻿ questions that’ll help where I go with my response. Do you play any other instruments? And what are you wanting to use this kind of information/theory for? @NoSlevenLucky That’s not dumb at all﻿ man, that’s an awesome question! Before I answer though I have a couple questions that’ll help where I go with my response. Do you play any other instruments? And what are you wanting to use this kind of information/theory for? @NoSlevenLucky That’s not dumb at﻿ all man, that’s an awesome question! Before I answer though I have a couple questions that’ll help where I go with my response. Do you play any other instruments? And what are you wanting to use this kind of information/theory for? @NoSlevenLucky That’s not dumb at all man, that’s an awesome question! Before I answer though I have a couple questions that’ll﻿ help where I go with my response. Do you play any other instruments? And what are you wanting to use this kind of information/theory for? @NoSlevenLucky That’s not dumb at all man, that’s an awesome question! Before I answer though I have a couple questions that’ll help where I go with my response. Do you play any other instruments? And what are you wanting to use this kind of﻿ information/theory for? @NoSlevenLucky That’s not dumb at all man, that’s an﻿ awesome question! Before I answer though I have a couple questions that’ll help where I go with my response. Do you play any other instruments? And what are you wanting to use this kind of information/theory for? [..YouTube..] @NoSlevenLucky That’s not dumb at all man, that’s an awesome question! Before I answer though I have a couple questions that’ll help where I go with my response. Do you play any other instruments? And what are you wanting to use this kind of information/theory for? @aaronedgardrum no im just interested into learn how to play drums, haven’t really played any instruments, i mean i have picked up a guitar and maybe touched a piano but it wasn’t very interesting to learn. Until one day i went to my friends house and played rock band 3. After playing um it was fun playing the drums and the way its shaped my friends said its “almost-some-what”related to playing real drums. So ever since that day i’ve been watchin people on here like Cobus playing drums. @aaronedgardrum no im just interested into learn how to play drums, haven’t really played any instruments, i mean i have picked up a guitar and maybe touched a piano but it wasn’t very interesting to learn. Until one day i went to my friends house and played rock band 3. After playing um it was fun playing the drums and the way its shaped my friends said its “almost-some-what”related to playing real drums. So ever since﻿ that day i’ve been watchin people on here like Cobus playing drums. @aaronedgardrum no im﻿ just interested into learn how to play drums, haven’t really played any instruments, i mean i have picked up a guitar and maybe touched a piano but it wasn’t very interesting to learn. Until one day i went to my friends house and played rock band 3. After playing um it was fun playing the drums and the way its shaped my friends said its “almost-some-what”related to playing real drums. So ever since that day i’ve been watchin people on here like Cobus playing drums. @aaronedgardrum no im just interested into learn how to play drums, haven’t really played any instruments, i mean i have picked up a guitar and maybe touched a﻿ piano but it wasn’t very interesting to learn. Until one day i went to my friends house and played rock band 3. After playing um it was fun playing the drums and the way its shaped my friends said its “almost-some-what”related to playing real drums. So ever since that day i’ve been watchin people on here like Cobus playing drums. @aaronedgardrum no im just interested into learn how to play drums, haven’t really played any instruments, i mean i have picked up a guitar﻿ and maybe touched a piano but it wasn’t very interesting to learn. Until one day i went to my friends house and played rock band 3. After playing um it was fun playing the drums and the way its shaped my friends said its “almost-some-what”related to playing real drums. So ever since that day i’ve been watchin people on here like Cobus playing drums. @aaronedgardrum no im just interested into learn how to play drums, haven’t really played any instruments, i mean i have picked up a guitar and maybe touched a piano but it wasn’t very interesting to learn. Until one day﻿ i went to my friends house and played rock band 3. After playing um it was fun playing the drums and the way its shaped my friends said its “almost-some-what”related to playing real drums. So ever since that day i’ve been watchin people on here like Cobus playing drums. @aaronedgardrum﻿ no im just interested into learn how to play drums, haven’t really played any instruments, i mean i have picked up a guitar and maybe touched a piano but it wasn’t very interesting to learn. Until one day i went to my friends house and played rock band 3. After playing um it was fun playing the drums and the way its shaped my friends said its “almost-some-what”related to playing real drums. So ever since that day i’ve been watchin people on here like Cobus playing drums. @aaronedgardrum no im just interested into learn how to play drums, haven’t really played any instruments, i mean i have picked up a guitar and maybe touched a piano﻿ but it wasn’t very interesting to learn. Until one day i went to my friends house and played rock band 3. After playing um it was fun playing the drums and the way its shaped my friends said its “almost-some-what”related to playing real drums. So ever since that day i’ve been watchin people on here like Cobus playing drums. @aaronedgardrum no im just interested into learn how to play drums, haven’t really played any instruments, i mean i have picked up a guitar and maybe touched a piano but it wasn’t very interesting to learn. Until one day i went to my friends house and played rock band 3. After playing um it was fun playing the drums and the way its shaped my﻿ friends said its “almost-some-what”related to playing real drums. So ever since that day i’ve been watchin people on here like Cobus playing drums. @aaronedgardrum no im just interested into learn how to play drums, haven’t really played any instruments, i mean i have picked up a guitar and maybe touched a piano but it wasn’t very interesting to learn. Until one day i went to my friends house and played rock band 3. After playing um it was fun playing the﻿ drums and the way its shaped my friends said its “almost-some-what”related to playing real drums. So ever since that day i’ve been watchin people on here like Cobus playing drums. @aaronedgardrum no im just interested into learn how to play drums, haven’t really played any instruments, i mean i have picked up a guitar and maybe touched a piano but it wasn’t very interesting to learn. Until one day i went to my friends house and played rock band 3. After playing um it was fun playing the drums and the way its shaped my friends said its “almost-some-what”related to﻿ playing real drums. So ever since that day i’ve been watchin people on here like Cobus playing drums. @aaronedgardrum no im just interested into learn how to play drums, haven’t really played any instruments, i mean i have picked﻿ up a guitar and maybe touched a piano but it wasn’t very interesting to learn. Until one day i went to my friends house and played rock band 3. After playing um it was fun playing the drums and the way its shaped my friends said its “almost-some-what”related to playing real drums. So ever since that day i’ve been watchin people on here like Cobus playing drums. @aaronedgardrum no im just interested into learn how to play drums, haven’t really played any instruments, i mean i have picked up a guitar and maybe touched a piano but it wasn’t very interesting to learn. Until one day i went to my friends house and played rock band 3. After playing um﻿ it was fun playing the drums and the way its shaped my friends said its “almost-some-what”related to playing real drums. So ever since that day i’ve been watchin people on here like Cobus playing drums. @aaronedgardrum no im just interested into learn how to play drums, haven’t really played any instruments, i mean i have picked up a guitar and maybe touched a piano but it wasn’t very interesting to learn. Until one day i went to my﻿ friends house and played rock band 3. After playing um it was fun playing the drums and the way its shaped my friends said its “almost-some-what”related to playing real drums. So ever since that day i’ve been watchin people on here like Cobus playing drums. @aaronedgardrum no im just interested into learn how to play drums, haven’t really played any instruments, i mean i have picked up a guitar and maybe touched a piano but it wasn’t very interesting to learn.﻿ Until one day i went to my friends house and played rock band 3. After playing um it was fun playing the drums and the way its shaped my friends said its “almost-some-what”related to playing real drums. So ever since that day i’ve been watchin people on here like Cobus playing drums. @aaronedgardrum no im just interested into learn how to play drums, haven’t really played any instruments, i mean i have picked up a guitar and maybe touched a piano but it wasn’t very interesting to learn. Until one day i went﻿ to my friends house and played rock band 3. After playing um it was fun playing the drums and the way its shaped my friends said its “almost-some-what”related to playing real drums. So ever since that day i’ve been watchin people on here like Cobus playing drums. @aaronedgardrum no im just interested﻿ into learn how to play drums, haven’t really played any instruments, i mean i have picked up a guitar and maybe touched a piano but it wasn’t very interesting to learn. Until one day i went to my friends house and played rock band 3. After playing um it was fun playing the drums and the way its shaped my friends said its “almost-some-what”related to playing real drums. So ever since that day i’ve been watchin people on here like Cobus playing drums. @aaronedgardrum no im just interested into learn how to play drums, haven’t really played any instruments, i mean i have picked up a guitar and maybe touched a piano but it wasn’t very interesting to learn. Until﻿ one day i went to my friends house and played rock band 3. After playing um it was fun playing the drums and the way its shaped my friends said its “almost-some-what”related to playing real drums. So ever since that day i’ve been watchin people on here like Cobus playing drums. @aaronedgardrum no im just interested into learn how to play drums, haven’t really played any instruments, i mean i have picked up a guitar and maybe touched a piano but it wasn’t very interesting to learn. Until one day i went to my friends house and played rock band 3. After playing um it was fun playing the drums and the way its shaped my friends said﻿ its “almost-some-what”related to playing real drums. So ever since that day i’ve been watchin people on here like Cobus playing drums. @aaronedgardrum no im just interested into learn how to play drums, haven’t really played any instruments, i mean i have picked up a guitar and maybe touched a piano but it wasn’t very interesting to learn. Until one day i went to my friends house and played rock band 3. After playing um it was fun playing the drums and the way its shaped my friends said its “almost-some-what”related to playing real﻿ drums. So ever since that day i’ve been watchin people on here like Cobus playing drums. @aaronedgardrum no im just interested into learn how to play drums, haven’t really played any instruments, i mean i have picked up a guitar and maybe touched a piano but it wasn’t very interesting to learn. Until one day i went to my friends house and played rock band 3. After playing um it was fun playing the drums and the way its shaped my friends said its “almost-some-what”related to playing real drums. So ever since that day i’ve﻿ been watchin people on here like Cobus playing drums. @aaronedgardrum no im just interested into learn how to play drums, haven’t really played any instruments, i mean i have picked up a guitar and maybe touched a piano but it wasn’t very interesting to learn. Until one day i went to my friends house and played rock band 3. After playing um it was fun playing the drums and the way its shaped my friends said its “almost-some-what”related to playing real drums. So ever since that day i’ve been watchin people on here like﻿ Cobus playing drums. @aaronedgardrum no im just interested into learn how to play drums, haven’t really played any instruments, i mean i have picked up a guitar and maybe touched a piano but it wasn’t very interesting to learn. Until one day i went to my friends house and played rock band 3. After playing﻿ um it was fun playing the drums and the way its shaped my friends said its “almost-some-what”related to playing real drums. So ever since that day i’ve been watchin people on here like Cobus playing drums. @aaronedgardrum no im just interested into learn how to play drums, haven’t really played any instruments, i mean i have picked up a guitar and maybe touched a piano but it wasn’t very interesting﻿ to learn. Until one day i went to my friends house and played rock band 3. After playing um it was fun playing the drums and the way its shaped my friends said its “almost-some-what”related to playing real drums. So ever since that day i’ve been watchin people on here like Cobus playing drums. @aaronedgardrum no im just interested into learn how to play drums, haven’t really played any instruments, i mean i have picked up a guitar and maybe touched a piano but it wasn’t very interesting to learn. Until one day i﻿ went to my friends house and played rock band 3. After playing um it was fun playing the drums and the way its shaped my friends said its “almost-some-what”related to playing real drums. So ever since that day i’ve been watchin people on here like Cobus playing drums. @aaronedgardrum no im just interested into learn how to play drums, haven’t really played any instruments, i mean i have picked up a guitar and maybe touched a piano but it wasn’t very interesting to learn. Until one day i went to my friends house and played rock band 3. After playing um it was fun playing the drums and the﻿ way its shaped my friends said its “almost-some-what”related to playing real drums. So ever since that day i’ve been watchin people on here like Cobus playing drums. @aaronedgardrum no im just interested into learn how to play drums, haven’t really played any instruments, i mean i have picked up a guitar and maybe touched a piano but it wasn’t very interesting to learn. Until one day i went to my friends house and played rock band 3. After playing um it was fun playing the drums and the way its shaped my friends said its﻿ “almost-some-what”related to playing real drums. So ever since that day i’ve been watchin people on here like Cobus playing drums. @aaronedgardrum no im just interested into learn how to play drums, haven’t really played any instruments, i mean i have picked up a guitar and maybe touched a piano but it wasn’t very interesting to learn. Until one day i went to my friends house and played rock band 3.﻿ After playing um it was fun playing the drums and the way its shaped my friends said its “almost-some-what”related to playing real drums. So ever since that day i’ve been watchin people on here like Cobus playing drums. @aaronedgardrum no im just interested into learn how to play drums, haven’t really played any instruments, i mean i have picked up a guitar and maybe touched a piano but﻿ it wasn’t very interesting to learn. Until one day i went to my friends house and played rock band 3. After playing um it was fun playing the drums and the way its shaped my friends said its “almost-some-what”related to playing real drums. So ever since that day i’ve been watchin people on here like Cobus playing drums. 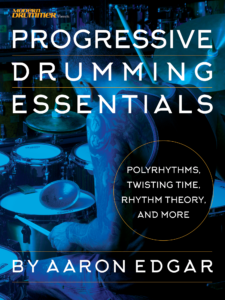 @aaronedgardrum no im just interested into learn how to play drums, haven’t really played any instruments, i mean i have picked up a guitar and maybe touched a piano but it wasn’t very interesting to learn. Until one day i went to my friends house and played rock band 3. After playing um it was fun playing the drums and﻿ the way its shaped my friends said its “almost-some-what”related to playing real drums. So ever since that day i’ve been watchin people on here like Cobus playing drums. @aaronedgardrum no im just interested into learn how to play drums, haven’t really played any instruments, i mean i have picked up a guitar and maybe touched a piano but it wasn’t very interesting to learn. Until one day i went to my friends house and played rock band 3. After playing um it was fun playing the drums and the way its shaped my friends said its “almost-some-what”related to playing real drums.﻿ So ever since that day i’ve been watchin people on here like Cobus playing drums. @aaronedgardrum no im just interested into learn how to play drums, haven’t really played any instruments, i mean i have picked up﻿ a guitar and maybe touched a piano but it wasn’t very interesting to learn. Until one day i went to my friends house and played rock band 3. After playing um it was fun playing the drums and the way its shaped my friends said its “almost-some-what”related to playing real drums. So ever since that day i’ve been watchin people on here like Cobus playing drums. @aaronedgardrum no im just interested into learn how to play drums, haven’t really played any instruments, i mean i have picked up a guitar and maybe touched a piano but it wasn’t very interesting to learn. Until one day i went to my friends house and played rock band 3. After playing um it was fun playing the drums and the way its shaped my friends said its “almost-some-what”related to playing real drums. So ever﻿ since that day i’ve been watchin people on here like Cobus playing drums. @aaronedgardrum no im just interested into learn how﻿ to play drums, haven’t really played any instruments, i mean i have picked up a guitar and maybe touched a piano but it wasn’t very interesting to learn. Until one day i went to my friends house and played rock band 3. After playing um it was fun playing the drums and the way its shaped my friends said its “almost-some-what”related to playing real drums. So ever since that day i’ve been watchin people on here like Cobus playing drums. @aaronedgardrum no im just interested into learn how to play drums, haven’t really played any instruments, i mean i have picked up a guitar and maybe touched a piano but it wasn’t very interesting to learn. Until one day i went to my friends house and played rock band 3. After playing um it was fun﻿ playing the drums and the way its shaped my friends said its “almost-some-what”related to playing real drums. So ever since that day i’ve been watchin people on here like Cobus playing drums. @aaronedgardrum no im just interested into learn how to play drums, haven’t really played any instruments, i mean i have picked up a guitar and maybe touched a piano but it wasn’t very interesting to learn. Until one﻿ day i went to my friends house and played rock band 3. After playing um it was fun playing the drums and the way its shaped my friends said its “almost-some-what”related to playing real drums. So ever since that day i’ve been watchin people on here like Cobus playing drums. @aaronedgardrum no im just interested into learn how to play drums,﻿ haven’t really played any instruments, i mean i have picked up a guitar and maybe touched a piano but it wasn’t very interesting to learn. Until one day i went to my friends house and played rock band 3. After playing um it was fun playing the drums and the way its shaped my friends said its “almost-some-what”related to playing real drums. So ever since that day i’ve been watchin people on here like Cobus playing drums. @aaronedgardrum no im just interested into learn how to play drums, haven’t really played any instruments, i mean i have picked up a guitar and maybe touched a piano but it wasn’t﻿ very interesting to learn. Until one day i went to my friends house and played rock band 3. After playing um it was fun playing the drums and the way its shaped my friends said its “almost-some-what”related to playing real drums. So ever since that day i’ve been watchin people on here like Cobus playing drums. @aaronedgardrum no im just interested into learn how to play drums, haven’t really played any instruments,﻿ i mean i have picked up a guitar and maybe touched a piano but it wasn’t very interesting to learn. Until one day i went to my friends house and played rock band 3. After playing um it was fun playing the drums and the way its shaped my friends said its “almost-some-what”related to playing real drums. So ever since that day i’ve been watchin people on here like Cobus playing drums. @aaronedgardrum no im just interested into learn how to play drums, haven’t really played any instruments, i mean i have picked up a guitar and maybe touched a piano but it wasn’t very interesting to learn. Until one day i went to my friends house and played rock band 3. After playing um it was fun playing the drums﻿ and the way its shaped my friends said its “almost-some-what”related to playing real drums. So ever since that day i’ve been watchin people on here like Cobus playing drums. @aaronedgardrum no im just interested into learn how to play﻿ drums, haven’t really played any instruments, i mean i have picked up a guitar and maybe touched a piano but it wasn’t very interesting to learn. Until one day i went to my friends house and played rock band 3. After playing um it was fun playing the drums and the way its shaped my friends said its “almost-some-what”related to playing real drums. So ever since that day i’ve been watchin people on here like Cobus playing drums. @aaronedgardrum no im just interested into learn how to play drums, haven’t really played any instruments, i mean i have picked up a guitar and maybe touched a piano but it wasn’t very interesting to learn. Until one day i went to my friends house and played rock band 3. After playing um it was fun playing the drums and the way its shaped﻿ my friends said its “almost-some-what”related to playing real drums. So ever since that day i’ve been watchin people on here like Cobus playing drums. @aaronedgardrum no im just interested into learn how to play drums, haven’t really played any instruments, i mean i have picked up a guitar and maybe﻿ touched a piano but it wasn’t very interesting to learn. Until one day i went to my friends house and played rock band 3. After playing um it was fun playing the drums and the way its shaped my friends said its “almost-some-what”related to playing real drums. So ever since that day i’ve been watchin people on here like Cobus playing drums. @aaronedgardrum no im just interested into learn how to play drums, haven’t really played any instruments, i mean i have picked up a guitar and maybe touched a piano but it wasn’t very interesting to learn. Until one day i went to my friends house and played rock band 3. After playing um it﻿ was fun playing the drums and the way its shaped my friends said its “almost-some-what”related to playing real drums. So ever since that day i’ve been watchin people on here like Cobus playing drums. @aaronedgardrum no im just interested into learn how to play drums, haven’t really played any instruments, i mean i have picked up a guitar and maybe touched a piano but it wasn’t very﻿ interesting to learn. Until one day i went to my friends house and played rock band 3. After playing um it was fun playing the drums and the way its shaped my friends said its “almost-some-what”related to playing real drums. So ever since that day i’ve been watchin people on here like Cobus playing drums. @aaronedgardrum no im just interested into learn how to play drums, haven’t really played any instruments, i mean i have picked up a guitar and maybe touched a piano but it wasn’t very interesting to learn. Until one day i went to﻿ my friends house and played rock band 3. After playing um it was fun playing the drums and the way its shaped my friends said its “almost-some-what”related to playing real drums. So ever since that day i’ve been watchin people on here like Cobus playing drums. @aaronedgardrum no im just interested into learn how to play drums, haven’t really played any instruments, i mean i have picked up a guitar and maybe touched a piano but it wasn’t very interesting to learn. Until one day i went to my friends house and played rock band 3. After playing um it was fun playing the drums and the way its shaped my friends said its “almost-some-what”related to playing real drums. So ever since that day i’ve been watchin people on here﻿ like Cobus playing drums. @aaronedgardrum no im just interested into learn how to play drums, haven’t really played any instruments, i mean i have picked up a guitar and maybe touched a piano but it wasn’t very interesting to﻿ learn. Until one day i went to my friends house and played rock band 3. After playing um it was fun playing the drums and the way its shaped my friends said its “almost-some-what”related to playing real drums. So ever since that day i’ve been watchin people on here like Cobus playing drums. @aaronedgardrum no im just interested into﻿ learn how to play drums, haven’t really played any instruments, i mean i have picked up a guitar and maybe touched a piano but it wasn’t very interesting to learn. Until one day i went to my friends house and played rock band 3. After playing um it was fun playing the drums and the way its shaped my friends said its “almost-some-what”related to playing real drums. So ever since that day i’ve been watchin people on here like Cobus playing drums. @aaronedgardrum no im just interested into learn how to play drums, haven’t really played any instruments, i mean i have picked up a guitar and maybe touched a piano but it wasn’t very interesting to learn. Until one day i went to my friends house and played rock band 3. After playing um it was﻿ fun playing the drums and the way its shaped my friends said its “almost-some-what”related to playing real drums. So ever since that day i’ve been watchin people on here like Cobus playing drums. @aaronedgardrum no im just interested into learn how to play drums, haven’t really﻿ played any instruments, i mean i have picked up a guitar and maybe touched a piano but it wasn’t very interesting to learn. Until one day i went to my friends house and played rock band 3. After playing um it was fun playing the drums and the way its shaped my friends said its “almost-some-what”related to playing real drums. So ever since that day i’ve been watchin people on here like Cobus playing drums. @aaronedgardrum no im just interested into learn how to play drums, haven’t really played any instruments, i mean i have picked up a guitar and maybe touched a piano but it wasn’t very interesting to learn. Until one day i went to my friends house and played rock band 3. After﻿ playing um it was fun playing the drums and the way its shaped my friends said its “almost-some-what”related to playing real drums. So ever since that day i’ve been watchin people on here like Cobus playing drums. @aaronedgardrum no im just interested into learn how to play drums, haven’t really played any instruments, i mean i have picked up a guitar and maybe touched a piano but it wasn’t very interesting to learn. Until one day i went to my friends house and played rock﻿ band 3. After playing um it was fun playing the drums and the way its shaped my friends said its “almost-some-what”related to playing real drums. So ever since that day i’ve been watchin people on here like Cobus playing drums. @aaronedgardrum no im just interested into learn how to play drums, haven’t really played any instruments, i mean i have picked up a guitar and maybe touched a piano but it wasn’t very interesting to learn. Until one day i went to my friends﻿ house and played rock band 3. After playing um it was fun playing the drums and the way its shaped my friends said its “almost-some-what”related to playing real drums. So ever since that day i’ve been watchin people on here like Cobus playing drums. @aaronedgardrum no im just interested into learn how to play drums, haven’t really played any instruments, i mean i have picked up a guitar and maybe touched﻿ a piano but it wasn’t very interesting to learn. Until one day i went to my friends house and played rock band 3. After playing um it was fun playing the drums and the way its shaped my friends said its “almost-some-what”related to playing real drums. So ever since that day i’ve been watchin people on here like Cobus playing drums. [..YouTube..] @aaronedgardrum no im just interested into learn how to play drums, haven’t really played any instruments, i mean i have picked up a guitar and maybe touched a piano but it wasn’t very interesting to learn. Until one day i went to my friends house and played rock band 3. After playing um it was fun playing the drums and the way its shaped my friends said its “almost-some-what”related to playing real drums. So ever since that day i’ve been watchin people on here like Cobus playing drums. @NoSlevenLucky Well I will say this, a lot of my students that have come to me after trying the rock band thing have done exceptionally well! So you already have a good head start. It’s really not the easiest thing to practice this kind of stuff without something to hit. Although, maybe if you tried listening to music that had a lot of odd time signatures and tapping along on a chair or what not it could be fun and effective! Try Tool! @NoSlevenLucky Well I will say this, a lot of my students that have come to me after trying the rock band thing have done exceptionally well! So you already have a good head start. It’s really not the﻿ easiest thing to practice this kind of stuff without something to hit. Although, maybe if you tried listening to music that had a lot of odd time signatures and tapping along on a chair or what not it could be fun and effective! Try Tool! @NoSlevenLucky Well I will say this, a lot of my students that have come to me after trying the rock band thing have done exceptionally well! So you already have a good head start. It’s really not the easiest thing to practice this kind of﻿ stuff without something to hit. Although, maybe if you tried listening to music that had a lot of odd time signatures and tapping along on a chair or what not it could be fun and effective! Try Tool! @NoSlevenLucky Well I﻿ will say this, a lot of my students that have come to me after trying the rock band thing have done exceptionally well! So you already have a good head start. It’s really not the easiest thing to practice this kind of stuff without something to hit. Although, maybe if you tried listening to music that had a lot of odd time signatures and tapping along on a chair or what not it could be fun and effective! Try Tool! @NoSlevenLucky Well I will say this, a lot of my students that have come to me﻿ after trying the rock band thing have done exceptionally well! So you already have a good head start. It’s really not the easiest thing to practice this kind of stuff without something to hit. Although, maybe if you tried listening to music that had a lot of odd time signatures and tapping along on a chair or what not it could be fun and effective! Try Tool! @NoSlevenLucky Well I will say this, a lot of my students that﻿ have come to me after trying the rock band thing have done exceptionally well! So you already have a good head start. It’s really not the easiest thing to practice this kind of stuff without something to hit. Although, maybe if you tried listening to music that had a lot of odd time signatures and tapping along on a chair or what not it could be fun and effective! Try Tool! @NoSlevenLucky Well I will say this, a lot of my students that have come to me after trying the rock band thing have done exceptionally well! So you already have a good head start. It’s really not the easiest thing to practice﻿ this kind of stuff without something to hit. Although, maybe if you tried listening to music that had a lot of odd time signatures and tapping along on a chair or what not it could be fun and effective! Try Tool! @NoSlevenLucky Well I will say this, a lot of my students that have come to me after trying the rock band thing have done exceptionally well! So you already have a good head start. It’s really not the easiest thing to practice this﻿ kind of stuff without something to hit. Although, maybe if you tried listening to music that had a lot of odd time signatures and tapping along on a chair or what not it could be fun and effective! Try Tool! @NoSlevenLucky Well I will say this, a lot of my students that have come to me after trying the rock band thing have done exceptionally well! So you already have a good head start. It’s really not the easiest thing to practice this kind of stuff without something to hit. Although, maybe if you tried listening to music that had a lot of odd time signatures and tapping along on a chair or what﻿ not it could be fun and effective! Try Tool! @NoSlevenLucky Well I will say this, a lot of my students that have come to me after trying the rock band thing have done exceptionally well! So you already have a good head start. It’s really not the easiest thing to practice this kind of stuff without﻿ something to hit. Although, maybe if you tried listening to music that had a lot of odd time signatures and tapping along on a chair or what not it could be fun and effective! Try Tool! @NoSlevenLucky Well I will say this, a lot of my students that have come to me after trying the rock band thing have done exceptionally well! So you already have a good head start. It’s really not the easiest thing﻿ to practice this kind of stuff without something to hit. Although, maybe if you tried listening to music that had a lot of odd time signatures and tapping along on a chair or what not it could be fun and effective! Try Tool! @NoSlevenLucky Well I will say this, a lot of my students that have come to me after trying the rock band thing have done exceptionally well! So you already have a good head start. It’s really not the easiest thing to practice this kind of stuff without something to hit. Although, maybe if you tried listening to music that had a lot of odd time signatures and tapping along on a chair or what not it could be fun and effective!﻿ Try Tool! @NoSlevenLucky Well I will say this, a lot of my students that have come to me after trying the rock band thing have done exceptionally well! So you already have a good head start. It’s really not the easiest thing to practice this kind of stuff without something to hit. Although, maybe if you tried listening to music that had a lot of odd time signatures and﻿ tapping along on a chair or what not it could be fun and effective! Try Tool! @NoSlevenLucky Well I will say this, a lot of my students that have come to me after trying the rock band thing have done exceptionally well! So you already have a good head start. It’s really not the easiest thing to practice this kind of stuff﻿ without something to hit. Although, maybe if you tried listening to music that had a lot of odd time signatures and tapping along on a chair or what not it could be fun and effective! Try Tool! @NoSlevenLucky Well I will say this, a lot of my students that have come to me after trying the rock band thing have done exceptionally well! So you already have a good head start. It’s really not the easiest thing to practice this kind of stuff without something to hit. Although, maybe if you tried listening to music that had a lot of odd time signatures and tapping along on a chair or what not it could be fun﻿ and effective! Try Tool! @NoSlevenLucky Well I will say this, a lot of my students that have come to me after trying the rock band thing have done exceptionally well! So you already have a good head start. It’s really not the easiest thing to practice this kind of stuff without something to hit. Although, maybe if you tried listening to music that had a lot of﻿ odd time signatures and tapping along on a chair or what not it could be fun and effective! Try Tool! @NoSlevenLucky Well I will say this, a lot of my students that have come to me after trying the rock band thing have done exceptionally well! So you already have a good head start. It’s really not the easiest thing to practice this kind﻿ of stuff without something to hit. Although, maybe if you tried listening to music that had a lot of odd time signatures and tapping along on a chair or what not it could be fun and effective! Try Tool! @NoSlevenLucky Well I will say this, a lot of my students that have come to me after trying the rock band thing﻿ have done exceptionally well! So you already have a good head start. It’s really not the easiest thing to practice this kind of stuff without something to hit. Although, maybe if you tried listening to music that had a lot of odd time signatures and tapping along on a chair or what not it could be fun and effective! Try Tool! @NoSlevenLucky Well I will say this, a lot of my students that have come to me after trying the rock band thing have done exceptionally well! So you already have a good﻿ head start. It’s really not the easiest thing to practice this kind of stuff without something to hit. Although, maybe if you tried listening to music that had a lot of odd time signatures and tapping along on a chair or what not it could be fun and effective! Try Tool! @NoSlevenLucky Well I will say this,﻿ a lot of my students that have come to me after trying the rock band thing have done exceptionally well! So you already have a good head start. It’s really not the easiest thing to practice this kind of stuff without something to hit. Although, maybe if you tried listening to music that had a lot of odd time signatures and tapping along on a chair or what not it could be fun and effective! Try Tool! @NoSlevenLucky Well I will say this, a lot of my students that have come to me after trying the rock band thing have done exceptionally well! So you already have a good head start. It’s really not the easiest thing to practice this kind of stuff without something to hit. Although, maybe if you tried listening to music that had﻿ a lot of odd time signatures and tapping along on a chair or what not it could be fun and effective! Try Tool! @NoSlevenLucky﻿ Well I will say this, a lot of my students that have come to me after trying the rock band thing have done exceptionally well! So you already have a good head start. It’s really not the easiest thing to practice this kind of stuff without something to hit. Although, maybe if you tried listening to music that had a lot of odd time signatures and tapping along on a chair or what not it could be fun and effective! Try Tool! @NoSlevenLucky Well I will say this, a lot of my students that have come to me after trying the rock band thing have done exceptionally well! So you already have a good head start. It’s really not the easiest thing to practice this kind of stuff without something to hit. Although, maybe if you tried listening to music that had a lot of odd﻿ time signatures and tapping along on a chair or what not it could be fun and effective! Try Tool! @NoSlevenLucky Well I will say this, a lot of my students that have come to me after trying the rock band thing have done exceptionally well! So you already have a good head start. It’s really not the easiest thing to practice this kind of stuff without something to hit. Although, maybe if﻿ you tried listening to music that had a lot of odd time signatures and tapping along on a chair or what not it could be fun and effective! Try Tool! @NoSlevenLucky Well I will say this, a lot of my students that have come to me after trying the rock band thing have done exceptionally﻿ well! So you already have a good head start. It’s really not the easiest thing to practice this kind of stuff without something to hit. Although, maybe if you tried listening to music that had a lot of odd time signatures and tapping along on a chair or what not it could be fun and effective! Try Tool! @NoSlevenLucky Well I will say this, a lot﻿ of my students that have come to me after trying the rock band thing have done exceptionally well! So you already have a good head start. It’s really not the easiest thing to practice this kind of stuff without something to hit. Although, maybe if you tried listening to music that had a lot of odd time signatures and tapping along on a chair or what not it could be fun and effective! Try Tool! @NoSlevenLucky Well I will say this, a lot of my students that have come to me after trying the rock band thing have done exceptionally well! So you already have a good head start. It’s really not the easiest thing to practice this kind of stuff without something to hit. Although, maybe if you tried listening to music that had a lot of odd time signatures and tapping along on a chair or what not﻿ it could be fun and effective! Try Tool! @NoSlevenLucky Well I will﻿ say this, a lot of my students that have come to me after trying the rock band thing have done exceptionally well! So you already have a good head start. It’s really not the easiest thing to practice this kind of stuff without something to hit. Although, maybe if you tried listening to music that had a lot of odd time signatures and tapping along on a chair or what not it could be fun and effective! Try Tool! @NoSlevenLucky Well I will say this, a lot of my students that have come to﻿ me after trying the rock band thing have done exceptionally well! So you already have a good head start. It’s really not the easiest thing to practice this kind of stuff without something to hit. Although, maybe if you tried listening to music that had a lot of odd time signatures and tapping along on a chair or what not it could be fun and effective! Try Tool! @NoSlevenLucky Well I will say this, a lot of my students that have come to me after trying the rock band thing have done exceptionally well! So you already have a good head start.﻿ It’s really not the easiest thing to practice this kind of stuff without something to hit. Although, maybe if you tried listening to music that had a lot of odd time signatures and tapping along on a chair or what not it could be fun and effective! Try Tool! @NoSlevenLucky Well I will say this, a lot of my students that have come to me after trying the rock band thing have done exceptionally well! So you already have a good head start. It’s really not the easiest thing to practice this kind of stuff without something to hit. Although, maybe if you tried listening to music that had a lot of odd time signatures and tapping along on﻿ a chair or what not it could be fun and effective! Try Tool! @NoSlevenLucky Well﻿ I will say this, a lot of my students that have come to me after trying the rock band thing have done exceptionally well! So you already have a good head start. It’s really not the easiest thing to practice this kind of stuff without something to hit. Although, maybe if you tried listening to music that had a lot of odd time signatures and tapping along on a chair or what not it could be fun and effective! Try Tool! @NoSlevenLucky Well I will say this, a lot of my students that have come to me after trying the rock﻿ band thing have done exceptionally well! So you already have a good head start. It’s really not the easiest thing to practice this kind of stuff without something to hit. Although, maybe if you tried listening to music that had a lot of odd time signatures and tapping along on a chair or what not it could be fun and effective! Try Tool! @NoSlevenLucky Well I will say this, a lot of my students that have come to me after trying the rock band thing have done exceptionally well! So you already have a good head start. It’s really not the easiest thing to practice this kind of stuff without something to hit. Although, maybe if you tried listening to music﻿ that had a lot of odd time signatures and tapping along on a chair or what not it could be fun and effective! Try Tool! @NoSlevenLucky Well I will say this, a lot of my students that have come to me after trying the rock band thing have done exceptionally well! So you already have a good head start. It’s really not the easiest thing to practice this kind of stuff without something to hit. Although, maybe if you tried listening to music that had a lot of odd time signatures and tapping along on a chair or what not it could be fun and effective! Try﻿ Tool! @NoSlevenLucky Well I will say this, a lot of my students that have come to me after trying the rock band thing have done exceptionally well! So you already have a﻿ good head start. It’s really not the easiest thing to practice this kind of stuff without something to hit. Although, maybe if you tried listening to music that had a lot of odd time signatures and tapping along on a chair or what not it could be fun and effective! Try Tool! @NoSlevenLucky Well I will say this, a lot of my students that have come to me after trying the rock band thing have done exceptionally well! So you already have a good head start. It’s really not the easiest thing to practice this kind of stuff without something to hit. Although, maybe if you tried listening to music that had a lot of odd time signatures and tapping﻿ along on a chair or what not it could be fun and effective! Try Tool! @NoSlevenLucky Well I will say this, a lot of﻿ my students that have come to me after trying the rock band thing have done exceptionally well! So you already have a good head start. It’s really not the easiest thing to practice this kind of stuff without something to hit. Although, maybe if you tried listening to music that had a lot of odd time signatures and tapping along on a chair or what not it could be fun and effective! Try Tool! @NoSlevenLucky Well I will say﻿ this, a lot of my students that have come to me after trying the rock band thing have done exceptionally well! So you already have a good head start. It’s really not the easiest thing to practice this kind of stuff without something to hit. Although, maybe if you tried listening to music that had a lot of odd time signatures and tapping along on a chair or what not it could be fun and effective! Try Tool! @NoSlevenLucky Well I will say this, a lot of my students that have come to me after trying the rock band thing have done exceptionally well! So you already have a good head start. It’s really not the easiest thing to practice this kind of stuff without something to hit. Although, maybe if you tried listening to music that had a lot of odd time signatures and tapping along on a chair or what not it﻿ could be fun and effective! Try Tool! @NoSlevenLucky Well I will say this, a lot of my students that have come to me after trying the rock band thing have done exceptionally well! So you already have a good head start. It’s really not the easiest thing to practice this kind of stuff without something to hit. Although, maybe if you tried listening to music that had a lot of odd time signatures and tapping along on a chair or what not it could be fun and﻿ effective! Try Tool! @NoSlevenLucky Well I will say this, a lot of my﻿ students that have come to me after trying the rock band thing have done exceptionally well! So you already have a good head start. It’s really not the easiest thing to practice this kind of stuff without something to hit. Although, maybe if you tried listening to music that had a lot of odd time signatures and tapping along on a chair or what not it could be fun and effective! Try Tool! @NoSlevenLucky Well I will say this, a lot of my students that have come to me after trying the rock band thing have done exceptionally well! So you already have a good head start. It’s really not the easiest thing to practice this kind of stuff without something to hit. Although, maybe if you tried listening to music that had a lot﻿ of odd time signatures and tapping along on a chair or what not it could be fun and effective! Try Tool! @NoSlevenLucky Well I will say this, a lot of my students﻿ that have come to me after trying the rock band thing have done exceptionally well! So you already have a good head start. It’s really not the easiest thing to practice this kind of stuff without something to hit. Although, maybe if you tried listening to music that had a lot of odd time signatures and tapping along on a chair or what not it could be fun and effective! Try Tool! @NoSlevenLucky Well I will say this, a lot of my students that have come to me after trying the rock band thing have done exceptionally well! So you already have a good head start. It’s really not the easiest thing to practice this kind of stuff without something to hit. Although, maybe if you tried listening to music that had a lot of odd time signatures and tapping along on a chair or what not it could﻿ be fun and effective! Try Tool! @NoSlevenLucky Well I will say this, a lot of my students that have come to me after trying the rock band thing have done exceptionally well! So you already have a good head start. It’s really not the easiest thing to practice this kind of stuff without something to hit. Although, maybe﻿ if you tried listening to music that had a lot of odd time signatures and tapping along on a chair or what not it could be fun and effective! Try Tool! @NoSlevenLucky Well I will say this, a lot of my students that have come to me after trying the rock band thing have done exceptionally well! So you already have a good head start. It’s really not the easiest thing to practice this kind of stuff without something to hit.﻿ Although, maybe if you tried listening to music that had a lot of odd time signatures and tapping along on a chair or what not it could be fun and effective! Try Tool! @NoSlevenLucky Well I will say this, a lot of my students that have come to me after trying the rock band thing have done exceptionally well! So you already have a good head start. It’s really not﻿ the easiest thing to practice this kind of stuff without something to hit. Although, maybe if you tried listening to music that had a lot of odd time signatures and tapping along on a chair or what not it could be fun and effective! Try Tool! @NoSlevenLucky Well I will say this, a lot of my students that have come to me after trying the rock band thing have done exceptionally well! So you already have a good head﻿ start. It’s really not the easiest thing to practice this kind of stuff without something to hit. Although, maybe if you tried listening to music that had a lot of odd time signatures and tapping along on a chair or what not it could be fun and effective! Try Tool! [..YouTube..] @NoSlevenLucky Well I will say this, a lot of my students that have come to me after trying the rock band thing have done exceptionally well! So you already have a good head start. It’s really not the easiest thing to practice this kind of stuff without something to hit. Although, maybe if you tried listening to music that had a lot of odd time signatures and tapping along on a chair or what not it could be fun and effective! Try Tool! Hey man, have you ever heard of a 12/4 time signature. I’m wondering because My friend said that I wrote a riff in that time. Hey man, have you﻿ ever heard of a 12/4 time signature. I’m wondering because My friend said that I wrote a riff in that time. Hey man, have you ever heard of a 12/4 time signature. I’m﻿ wondering because My friend said that I wrote a riff in that time. Hey man, have you ever heard﻿ of a 12/4 time signature. I’m wondering because My friend said that I wrote a riff in that time. Hey man, have you ever heard of a 12/4 time﻿ signature. I’m wondering because My friend said that I wrote a riff in that time. Hey man, have you ever heard of a﻿ 12/4 time signature. I’m wondering because My friend said that I wrote a riff in that time. Hey man, have﻿ you ever heard of a 12/4 time signature. I’m wondering because My friend said that I wrote a riff in that time. Hey﻿ man, have you ever heard of a 12/4 time signature. I’m wondering because My friend said that I wrote a riff in that time. Hey man, have you ever heard of﻿ a 12/4 time signature. I’m wondering because My friend said that I wrote a riff in that time. Hey man, have you ever heard of a 12/4 time signature.﻿ I’m wondering because My friend said that I wrote a riff in that time. Hey man, have you ever heard of a 12/4 time signature. I’m wondering because﻿ My friend said that I wrote a riff in that time. Hey man, have you ever heard of a 12/4 time signature. I’m wondering because My friend said that I wrote a riff in﻿ that time. Hey man, have you ever heard of a 12/4 time signature. I’m wondering because My friend said that I wrote a riff in that﻿ time. Hey man,﻿ have you ever heard of a 12/4 time signature. I’m wondering because My friend said that I wrote a riff in that time. Hey man, have you ever heard of a 12/4 time signature. I’m wondering because My friend said that﻿ I wrote a riff in that time. Hey man, have you ever heard of a 12/4 time signature. I’m wondering because My friend said that I wrote﻿ a riff in that time. Hey man, have you ever heard of a 12/4 time signature. I’m wondering because My﻿ friend said that I wrote a riff in that time. Hey man, have you ever heard of a 12/4 time signature. I’m wondering because My friend said﻿ that I wrote a riff in that time. Hey man, have you ever heard of a 12/4 time signature. I’m wondering because My friend said that I wrote a riff﻿ in that time. Hey man, have you ever heard of a 12/4 time signature. I’m wondering because My friend said that I﻿ wrote a riff in that time. Hey man, have you ever heard of a 12/4﻿ time signature. I’m wondering because My friend said that I wrote a riff in that time. Hey man, have you ever heard of a 12/4 time signature. I’m wondering because My friend said that I wrote a﻿ riff in that time. Hey man, have you ever heard of a 12/4 time signature. I’m wondering because My friend﻿ said that I wrote a riff in that time. [..YouTube..] Hey man, have you ever heard of a 12/4 time signature. I’m wondering because My friend said that I wrote a riff in that time. @aaronedgardrum I think, that I am going to cut the bars down. If you know what I mean. What time signature do you think that I should use? I could send you a PDF file of the phrase that is in ’12/4′. Much would be appreciated. I would just like to know the theory, behind it. @aaronedgardrum I think, that I am going to cut the bars down. If you know what I mean. What time signature do you think that I should use? I could send you a PDF file of the phrase that is in ’12/4′. Much would be appreciated. I would just like to know the﻿ theory, behind it. @aaronedgardrum I think, that I am going to cut﻿ the bars down. If you know what I mean. What time signature do you think that I should use? I could send you a PDF file of the phrase that is in ’12/4′. Much would be appreciated. I would just like to know the theory, behind it. @aaronedgardrum I think, that I am going to cut the bars down. If you know what I mean. What time signature do﻿ you think that I should use? I could send you a PDF file of the phrase that is in ’12/4′. Much would be appreciated. I would just like to know the theory, behind it. @aaronedgardrum I think, that I am going to cut the bars down. If you know what I mean. What time signature do you think that I should use? I could﻿ send you a PDF file of the phrase that is in ’12/4′. Much would be appreciated. I would just like to know the theory, behind it. @aaronedgardrum I think, that I am going to cut the bars down. If you know what I mean. What time signature do you think that I should use? I could send you a PDF file of the phrase that﻿ is in ’12/4′. Much would be appreciated. I would just like to know the theory, behind it. @aaronedgardrum﻿ I think, that I am going to cut the bars down. If you know what I mean. What time signature do you think that I should use? I could send you a PDF file of the phrase that is in ’12/4′. Much would be appreciated. I would just like to know the theory, behind it. @aaronedgardrum I think, that I am going to cut the bars down. If you know what I mean. What time signature do you think that I should use? I could send you a PDF file﻿ of the phrase that is in ’12/4′. Much would be appreciated. I would just like to know the theory, behind it. @aaronedgardrum I think, that I am going to cut the bars down. If you know what I mean. What time signature do you think that I should use? I could send you﻿ a PDF file of the phrase that is in ’12/4′. Much would be appreciated. I would just like to know the theory, behind it. @aaronedgardrum I think, that I am going to cut the bars down. If you know what I mean. What time signature do you think that﻿ I should use? I could send you a PDF file of the phrase that is in ’12/4′. Much would be appreciated. I would just like to know the theory, behind it. @aaronedgardrum I﻿ think, that I am going to cut the bars down. If you know what I mean. What time signature do you think that I should use? I could send you a PDF file of the phrase that is in ’12/4′. Much would be appreciated. I would just like to know the theory, behind it. @aaronedgardrum I think, that I am going to cut the bars down. If you know what I mean. What time signature do you think that I should use? I could send you a PDF﻿ file of the phrase that is in ’12/4′. Much would be appreciated. I would just like to know the theory, behind it. @aaronedgardrum I think, that I am going to cut the bars down. If you know what I mean. What time signature do you think that I should use? I could send you a PDF file of the phrase that is in ’12/4′. Much would be appreciated. I would just like﻿ to know the theory, behind it. @aaronedgardrum I think, that I am going to cut the bars down. If you know what I mean. What time signature do you think that I should use? I﻿ could send you a PDF file of the phrase that is in ’12/4′. Much would be appreciated. I would just like to know the theory, behind it. @aaronedgardrum I think, that I am going to cut the bars down. If you know what I﻿ mean. What time signature do you think that I should use? I could send you a PDF file of the phrase that is in ’12/4′. Much would be appreciated. I would just like to know the theory, behind it. @aaronedgardrum I think, that I am going to cut the bars down. If you know what I mean. What time signature do you think﻿ that I should use? I could send you a PDF file of the phrase that is in ’12/4′. Much would be appreciated. I would just like to know the theory, behind it. @aaronedgardrum I think, that I am going to cut the bars down. If you know what I mean. What time signature do you﻿ think that I should use? I could send you a PDF file of the phrase that is in ’12/4′. Much would be appreciated. I would just like to know the theory, behind it. @aaronedgardrum I think, that I am going to cut the bars down. If you know what I mean. What time﻿ signature do you think that I should use? I could send you a PDF file of the phrase that is in ’12/4′. Much would be appreciated. I would just like to know the theory, behind it. @aaronedgardrum I think, that I am going to cut the﻿ bars down. If you know what I mean. What time signature do you think that I should use? I could send you a PDF file of the phrase that is in ’12/4′. Much would be appreciated. I would just like to know the theory, behind it. @aaronedgardrum I think, that I am going to cut the bars down. If you know what I mean. What time signature do you think that I should use? I could send you a PDF file of the phrase that is in ’12/4′.﻿ Much would be appreciated. I would just like to know the theory, behind it. @aaronedgardrum I think, that I﻿ am going to cut the bars down. If you know what I mean. What time signature do you think that I should use? I could send you a PDF file of the phrase that is in ’12/4′. Much would be appreciated. I would just like to know the theory, behind it. @aaronedgardrum I think, that I am going to cut the bars down. If you know what I mean.﻿ What time signature do you think that I should use? I could send you a PDF file of the phrase that is in ’12/4′. Much would be appreciated. I would just like to know the theory, behind it. @aaronedgardrum I think, that I am going to cut the bars down. If you know what I mean. What time signature do you think that I should use? I could send you a PDF file of the phrase that is in ’12/4′. Much would be appreciated. I would﻿ just like to know the theory, behind it. @aaronedgardrum I think, that I am going to cut the bars down. If you know what I mean. What time signature do you think that I should use? I could send you a PDF file of the phrase that is in ’12/4′. Much would﻿ be appreciated. I would just like to know the theory, behind it. @aaronedgardrum I think, that I am going to cut the bars down. If you know what I mean. What time signature do you think that I should use? I could send﻿ you a PDF file of the phrase that is in ’12/4′. Much would be appreciated. I would just like to know the theory, behind it. @aaronedgardrum I think, that I am going to cut the bars down. If you know what I mean. What time signature do you think that I should use? I could send you a PDF file of the phrase that is in ’12/4′. Much would be appreciated. I would just like to know﻿ the theory, behind it. @aaronedgardrum I think, that I am going to cut the bars﻿ down. If you know what I mean. What time signature do you think that I should use? I could send you a PDF file of the phrase that is in ’12/4′. Much would be appreciated. I would just like to know the theory, behind it. @aaronedgardrum I think, that I am going to cut the bars down. If you know what I mean. What time signature do you think that I should use? I could send you a PDF file of the phrase that is in﻿ ’12/4′. Much would be appreciated. I would just like to know the theory, behind it. @aaronedgardrum I think, that I am going to﻿ cut the bars down. If you know what I mean. What time signature do you think that I should use? I could send you a PDF file of the phrase that is in ’12/4′. Much would be appreciated. I would just like to know the theory, behind it. @aaronedgardrum I think, that I am going to cut the bars down. If you know what I mean. What time signature do you think that I should use? I could send you a PDF file of the phrase﻿ that is in ’12/4′. Much would be appreciated. I would just like to know the theory, behind it. @aaronedgardrum I think, that I am﻿ going to cut the bars down. If you know what I mean. What time signature do you think that I should use? I could send you a PDF file of the phrase that is in ’12/4′. Much would be appreciated. I would just like to know the theory, behind it. @aaronedgardrum I think,﻿ that I am going to cut the bars down. If you know what I mean. What time signature do you think that I should use? I could send you a PDF file of the phrase that is in ’12/4′. Much would be appreciated. I would just like to know the theory, behind it. @aaronedgardrum I think, that I am going to cut the bars down. If you know﻿ what I mean. What time signature do you think that I should use? I could send you a PDF file of the phrase that is in ’12/4′. Much would be appreciated. I would just like to know the theory, behind it. @aaronedgardrum I think, that I am going to cut the bars down. If you know what I mean. What﻿ time signature do you think that I should use? I could send you a PDF file of the phrase that is in ’12/4′. Much would be appreciated. I would just like to know the theory, behind it. @aaronedgardrum I think, that I am going to cut the bars down. If you know what I mean. What time signature do you think that I should use? I could send you a PDF file of the phrase that is in ’12/4′. Much would be appreciated. I would just like to﻿ know the theory, behind it. @aaronedgardrum I think, that I am going to cut the bars down. If you know what I mean. What time signature do you think that I should use? I could send you a PDF file of﻿ the phrase that is in ’12/4′. Much would be appreciated. I would just like to know the theory, behind it. @aaronedgardrum I think, that I am going to cut the bars down. If﻿ you know what I mean. What time signature do you think that I should use? I could send you a PDF file of the phrase that is in ’12/4′. Much would be appreciated. I would just like to know the theory, behind it. @aaronedgardrum I think, that I am going to cut the bars down. If you know what I mean. What time signature do you think that I should use? I could send you a PDF file of the﻿ phrase that is in ’12/4′. Much would be appreciated. I would just like to know the theory, behind it. @aaronedgardrum I think, that I am going to cut the bars down. If you know what I mean. What time signature do you think that I should use?﻿ I could send you a PDF file of the phrase that is in ’12/4′. Much would be appreciated. I would just like to know the theory, behind it. @aaronedgardrum I think, that I am going to cut the bars down. If you know what I mean. What time signature do you think that I should use? I could send you a PDF file of the phrase that is in ’12/4′. Much would be appreciated. I would just﻿ like to know the theory, behind it. @aaronedgardrum I think, that I am going to cut the bars down. If you know what I mean. What time signature do you think that I should use? I could send you a PDF file of the phrase that is in ’12/4′. Much would be appreciated. I would just like to know the theory, behind﻿ it. @aaronedgardrum I think, that I am going to cut the bars down. If you know what I mean. What time signature do you think that I should use? I could send you a PDF file of the phrase that is in ’12/4′. Much would be﻿ appreciated. I would just like to know the theory, behind it. @aaronedgardrum I think, that I am going to cut the bars down. If you know what I mean. What time signature do you think that I﻿ should use? I could send you a PDF file of the phrase that is in ’12/4′. Much would be appreciated. I would just like to know the theory, behind it. [..YouTube..] @aaronedgardrum I think, that I am going to cut the bars down. If you know what I mean. What time signature do you think that I should use? I could send you a PDF file of the phrase that is in ’12/4′. Much would be appreciated. I would just like to know the theory, behind it. [..YouTube..] I think, that I am going to cut the bars down. If you know what I mean. What time signature do you think that I should use? I could send you a PDF file of the phrase that is in ’12/4′. Much would be appreciated. I would just like to know the theory, behind it. I think, that I am going to cut the bars down. If you know what I mean. What time signature do you think that I should use? I could send you a PDF file of the phrase that is in ’12/4′. Much would be appreciated. I would just like to know the theory, behind it. Ya know, I really appreciate you taking the time to make these videos. It’s great to have such great resources at our disposal; it’s just one more resource that the generation before us didn’t have the luxury of having. We have the potential to be the most musical generation since the beginning of time, but that’s not to say that this will be a reality. 12/4 is a 4/4 in eight note triplets. I like it how you can play 5/8 or 7/8 (or 5/4 or 7/16 etc.) in different ways. For example, you can play 5/8 as a shortened 6/8, with the snare on the 4, or like a prolonged 4/8, with the snare on the 3, or like 2 bars of 5/16, with the snare on the & of 3. Same goes for basically all odd meters. Great information broken down really well.